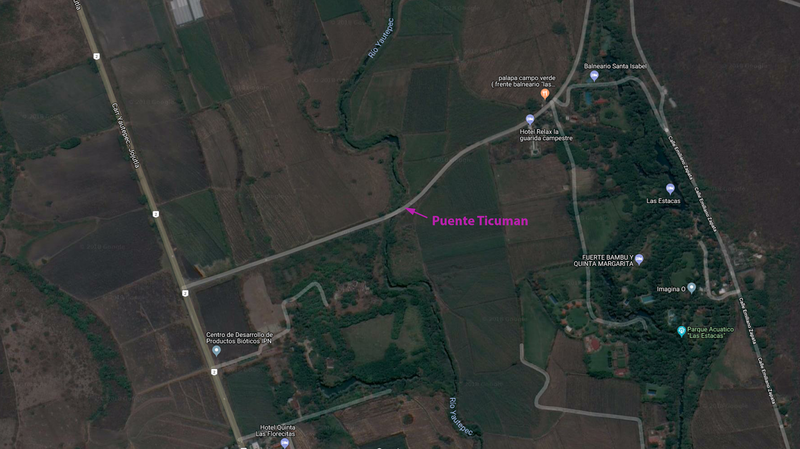 Damage to the Puente Ticuman from the 9/19/2017 Mexico Earthquake was reported by GEER Main Team member Prof. Alesandra Morales from the University of Puerto Rico. Its a classic embankment failure. The bridge is in good condition. Minor cracking prior to the earthquake. 1) Bridge was designed by Japanese Consultants. 2) Bridge was NOT designed for heavy loads. 3) Bridge was being use for heavy loads (farming industry). 4) There's a steel bridge that runs parallel to this one and its the one that is currently being used by the locals (alternate route). 5) They will only fix the entrance/exit to the bridge so people can use it for the moment. 6) A total reconstruction of the bridge will take place next year and they are thinking about using drilled shafts. Alesandra's report makes the bridge site sound like an agriculture area but the Google Photo above makes it seem more like a resort! This area near Jojutla had the most serious earthquake damage, mostly related to weak and unstable soil.